Forklift Certification FAQs, Los Angeles – Inquiring minds want to know. You guys asked and we have answers to some of your most asked questions. 1) How do I become a certified forklift operator? The best way to become a certified forklift operator is take a hands-on course teaching you how to properly and safely operate a forklift. That means you physically get onto the forklift and with the guidance of your instructor, learn to confidently steer, maneuver, load, unload, stack, tier, inspect, maintain, and more. The instruction can be provide in one of our Los Angeles locations, or we can bring it to your employer. Upon completing the course, you can obtain your forklift certification the same day. 2) How much does it cost to get a forklift certification? The cost depends on such factors as whether you are obtaining your forklift certification for the first time or are renewing. It also is dependent upon how many different forklifts you’d like to receive a forklift certification for. That said, we are here to serve you. Accordingly, we strive to offer affordable rates. In fact, although we recommend a 3 year license, we do offer the option to obtain a 1 year license at American Forklift Training Centers, Inc. if your current budget is tight. 3) Does OSHA require forklift certification? It sure does. OSHA requires every forklift operator to be trained and certified to operate a forklift. 4) Can I drive a forklift without a license? No. As mentioned, per OSHA, every forklift operator should be trained and certified to operate a forklift. 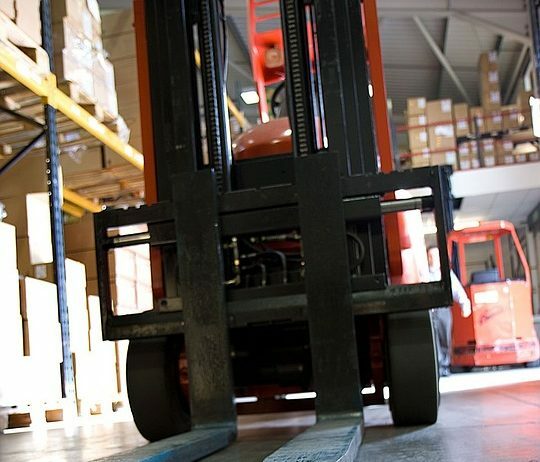 In fact, according to OSHA, any employer who knowingly or repeatedly violates the forklift training requirements, may be issued a fine of up to $129,336 for each violation! 5) Do you need a driver license to operate a forklift? Federal OSHA does not require the forklift operator to have a valid driver’s license. But again, they are required to have a valid forklift certification. 6) How much do forklift drivers make? This number also varies due to a number of factors, such as years of experience and the various types of forklifts you are certified in. For example, a licensed sit-down forklift operator may earn $12+ an hour, however, if the operator is trained in the order picker aka cherry picker as well, that number jumps up to $15+ an hour. This is one reason why obtaining additional forklift certifications is so beneficial. You are able to increase your pay rate to another level. Additionally, it’s important to note that while you can earn a living as a forklift operator, this particular position, opens doors for an entirely successful career path. In other words, operating a forklift can be just the start of your career. Professionally, you can grow into such paths as a shipping/receiving supervisor, warehouse supervisor, warehouse manager, distribution manager, operations manager, and more, many of which can lead to six figure salaries. We’d also like to mention that we’re committed to helping students and the community not only learn and obtain their forklift certification in safely and properly operating forklifts, but we want to help you find your next job too. From sending your information out to hiring companies and agencies in your area, to hosting job fairs dedicated to forklift positions, we want to make sure to get you in front of hiring managers. Whether you’re looking to start a new career as a forklift operator, looking for a job closer to home, or seeking a higher paying position, American Forklift Training Centers, Inc. is dedicated to bringing you the opportunities you need. 7) What should you do if the forklift you are driving starts to tip over? In short, stay in your seat and do not jump off. Rather, lean away from the direction it’s falling in and just be stable and hold onto your steering wheel. 8) Where should the heaviest part of the load be positioned on a forklift? First off, before you pick up a load, make sure its weight doesn’t exceed the capacity of the forklift. If you look at your forklift’s identification plate, you should be able to see what this capacity is. You’ll also see such things as the maximum height for lifting and how far the load center is in front of the forks. Second, generally speaking, you want to center the load as much as possible. However, at times that you cannot do this, then you want to distribute the heaviest part towards the front of the wheel. 9) How high should a load be carried on a forklift? This answer is also dependent on the type of forklift you are operating. As a general rule, though, lift the load and carefully tilt the mast back just enough to stabilize the load. Don’t lift a load extending above the load backrest unless no part of the load can possibly slide back toward the operator. If you have more questions, please don’t hesitate to ask. Contact us at (323) 620-7000.